This is probably going to sound like such a generic Lush lover’s comment, but I really cannot pass up an opportunity to pick up Lush’s seasonal products. 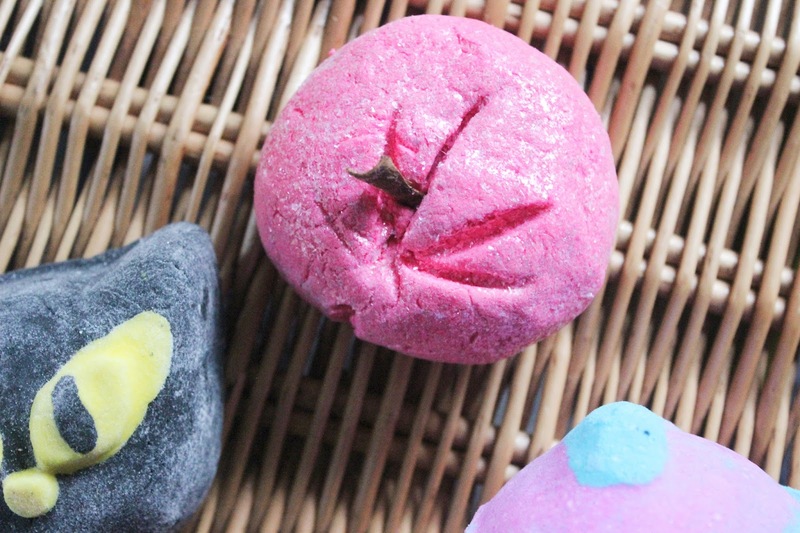 I wish that I could’ve bought the whole Lush Halloween range – the Ectoplasm jelly bomb looked really good – but I couldn’t justify spending so much on bath bombs. I picked up a small selection, mainly focusing on their smells and how they look, so I’m excited to see what they do in the bath! I picked this mainly for the fact that it’s a black cat, you can’t get much more ‘Halloween’ than a black cat, but also because it smells like blackberry. I love the scent of blackberry so I think this bubble bar smells incredible. It turns your bath black and glittery from what I’ve seen on YouTube, which is perfect for a spooky Halloween bath. I decided to buy this bubble bar because it was new for this Halloween and it looked so pretty. It has a floral jasmine scent and from what I’ve seen on YouTube it produces so many bubbles and sends the bath a beautiful shade of light pink, filled with the chunky glitter that it’s covered in. Unfortunately, I’ve had to give this one away due to me not reading the ingredients online, as it contains a cinnamon stick…whoops! 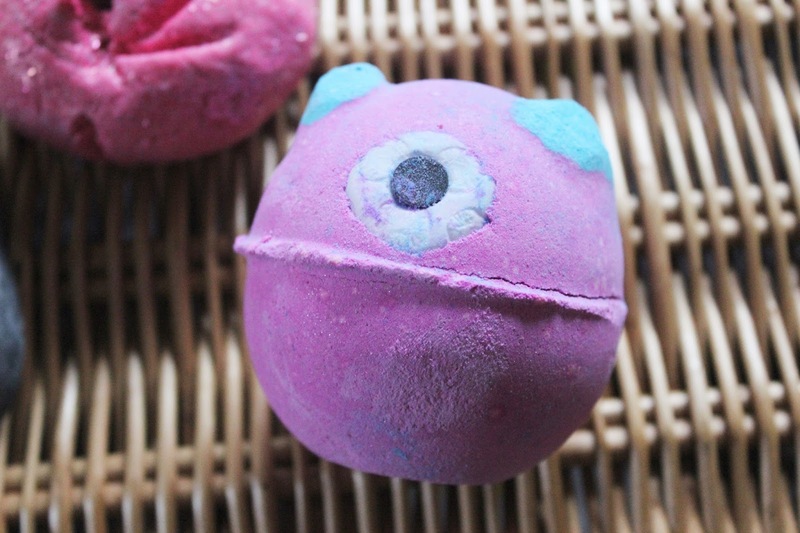 I first saw this adorable monster bath bomb last year at the Lush Showcase in gigantic form, and never actually got around to buying one. It has a fresh citrusy scent and from what I’ve seen it sends the bath a gorgeous shade of purple, with pink and blue dotted around the bath. I cannot wait to use this bath bomb! 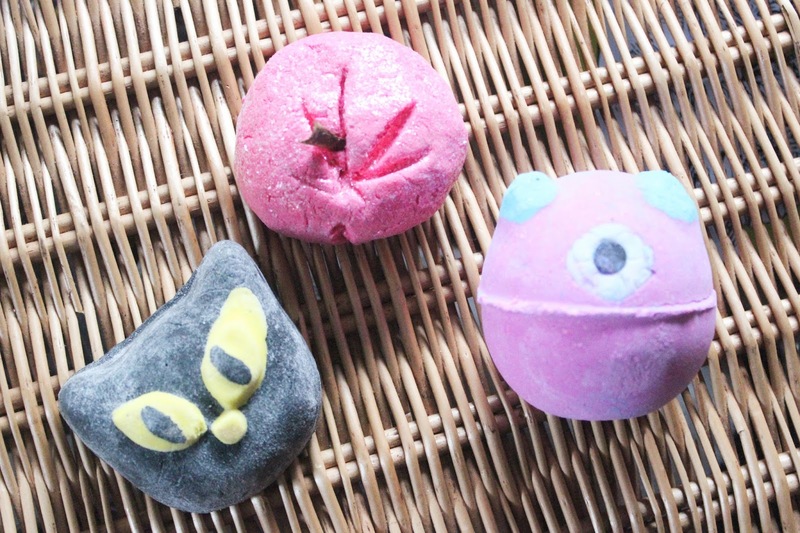 The scents of the bath bomb and bubble bars I picked up don’t necessarily remind me of Halloween or Autumn, but they definitely have the look and all of them smell incredible nevertheless. 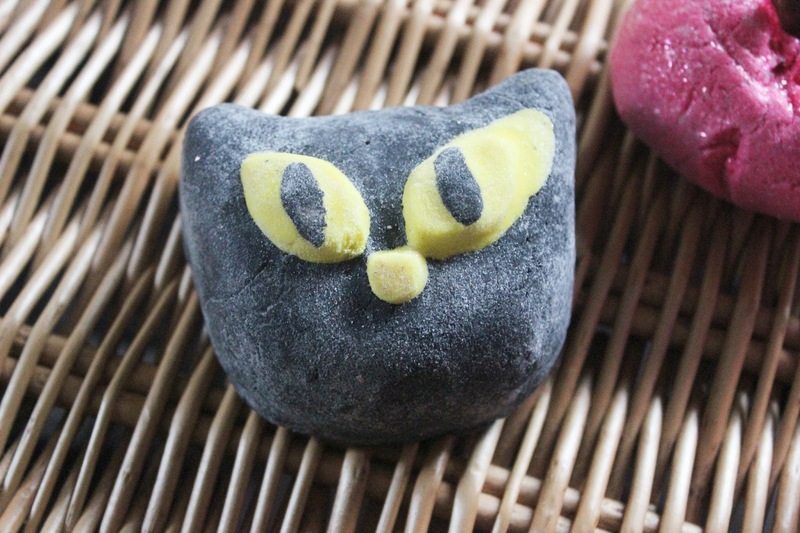 What’s your favourite Lush Halloween product, old or new?